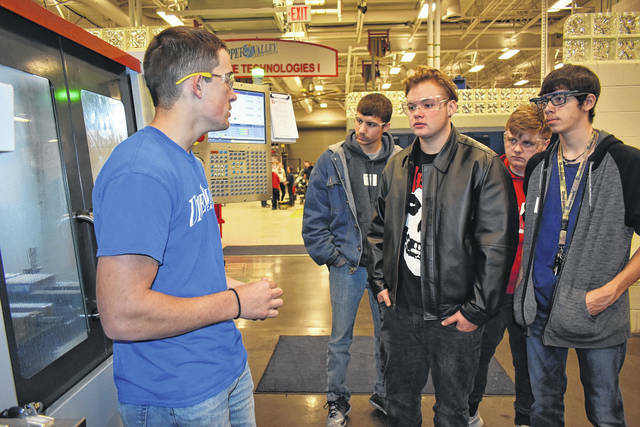 https://www.dailycall.com/wp-content/uploads/sites/30/2018/11/web1_UVCCSophomores1-1.jpgCody Willoughby | Troy Daily News UVCC apprentice student Isaiah Curl demonstrates the functions of a CNC machine to Troy High School tenth graders Kristofer Aellens, Sebastian Bore, Austin Robinette, and Jesse Symonds during “Explore Career Day” on Wednesday at Upper Valley Career Center. https://www.dailycall.com/wp-content/uploads/sites/30/2018/11/web1_UVCCSophomores2-1.jpgCody Willoughby | Troy Daily News Auto services instructor Don Wawsczyk discusses automotive technologies with Piqua High School tenth graders Spencer James, Grayson Walker, and Austin Penny during “Explore Career Day” on Wednesday at Upper Valley Career Center. 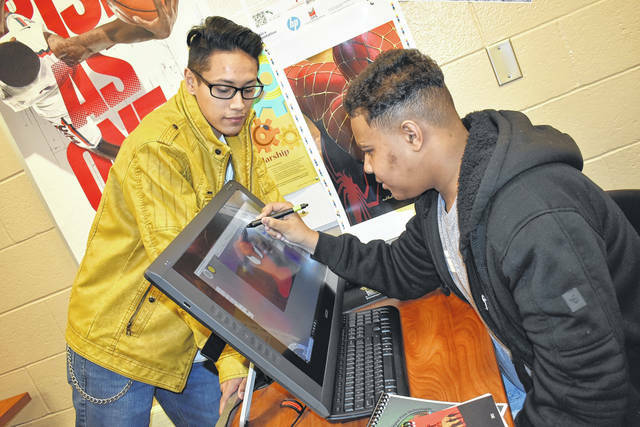 https://www.dailycall.com/wp-content/uploads/sites/30/2018/11/web1_UVCCSophomores3-1.jpgCody Willoughby | Troy Daily News UVCC graphic arts student Jersain Brux orients Troy High School tenth grader Darin Johnson through classroom arts programming during “Explore Career Day” on Wednesday at Upper Valley Career Center. 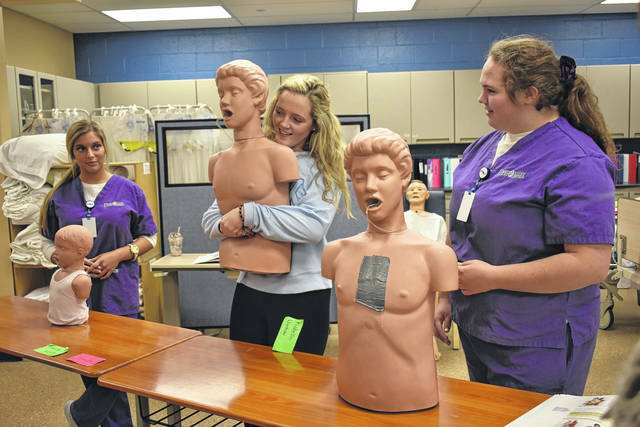 https://www.dailycall.com/wp-content/uploads/sites/30/2018/11/web1_UVCCSophomores4-1.jpgCody Willoughby | Troy Daily News Piqua High School tenth grader Lauren Karn, with assistance from students Amber Bonner and Hannah Ott, successfully administers the Heimlich maneuver on a medical careers academy dummy during “Explore Career Day” on Wednesday at Upper Valley Career Center.